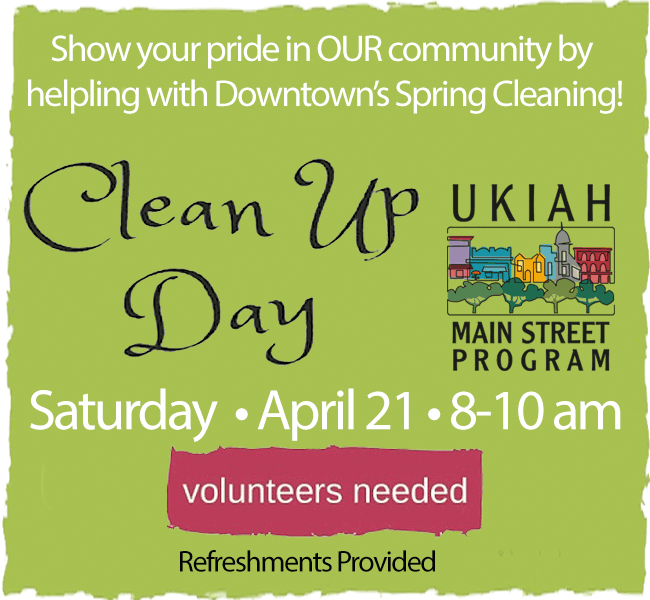 Join in helping with Downtown’s Spring Cleaning! We will be pulling weeds and dusting off downtown to look good for residents and visitors. Meet in front of Ukiah Valley Conference Center, 200 S. School St, to pick up supplies and organize. Bring gloves, garden tools and the family. Some supplies provided. Groups, individuals, clubs all welcome.